Summer in Philadelphia means beer gardens and outdoor happy hours, and our local animal rescues are getting in on the action, too. 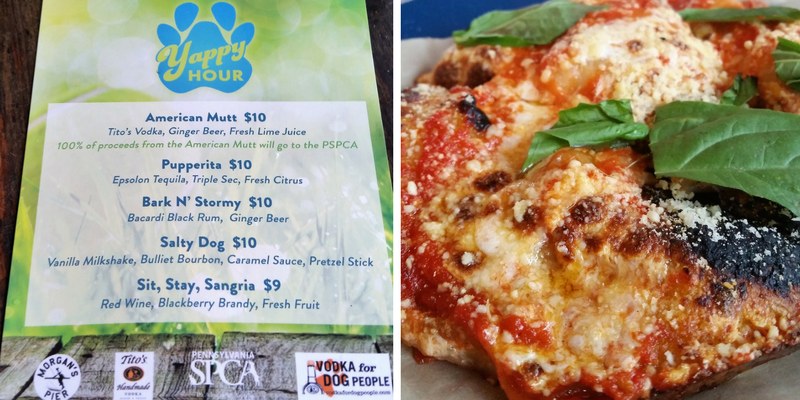 Each warm-weather month, the Pennsylvania SPCA (PSPCA) teams up with Morgan’s Pier and Tito’s Vodka to host a dog-friendly happy, or “yappy,” hour. Dipper and I had our first yappy hour experience at the August event—you can read all about our night below! 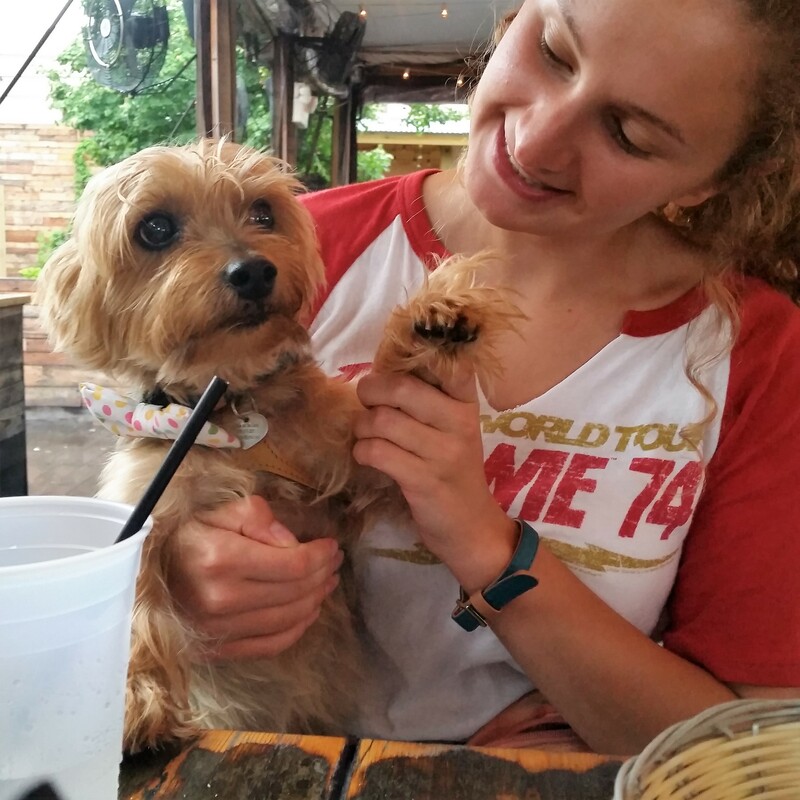 The August 7 yappy hour was a dreary one, but I was committed to going. And like my stubborn terrier, once I’ve decided to do something, it’s hard to convince me otherwise. We arrived at the pier after a soggy walk from the Spring Garden SEPTA station. Upon arrival, a bouncer checked our IDs to make sure we were of age, and from there, we were ushered out of the drizzle to a canopy at Morgan’s Pier, an area off-limits to dogs on any other night. It was wet and a little cold—not the picturesque summer night on the pier along the Delaware like we’d hoped. But a table full of free Tito’s Vodka swag, good food, and dog-themed drinks more than made up for the weather. High bar stools and tables made for scratched legs and an angry pup who demanded to get closer to the action (our fries)! No cheap drinks for this broke college graduate, so I had to stop after one “Pupperita,” which I ordered mostly for the opportunity to say “Pupperita” to another human being. Free things! Portable water bowl, retractable & standard dog leash. sunglasses, and bandana! Tito’s Vodka really likes dogs. The turnout was rather light at the Monday night event. Dipper was one of only six dogs there, two of which were homeless dogs up for adoption with the PSPCA. However, I was thankful in my own way for the empty tables around us, as Dipper has taken to some anxious behavior around certain dogs. He’s always going to be a work in progress, I suppose! All in all, it was a great night powered by a little alcohol and a great cause: Philadelphia’s homeless and at-risk animals. 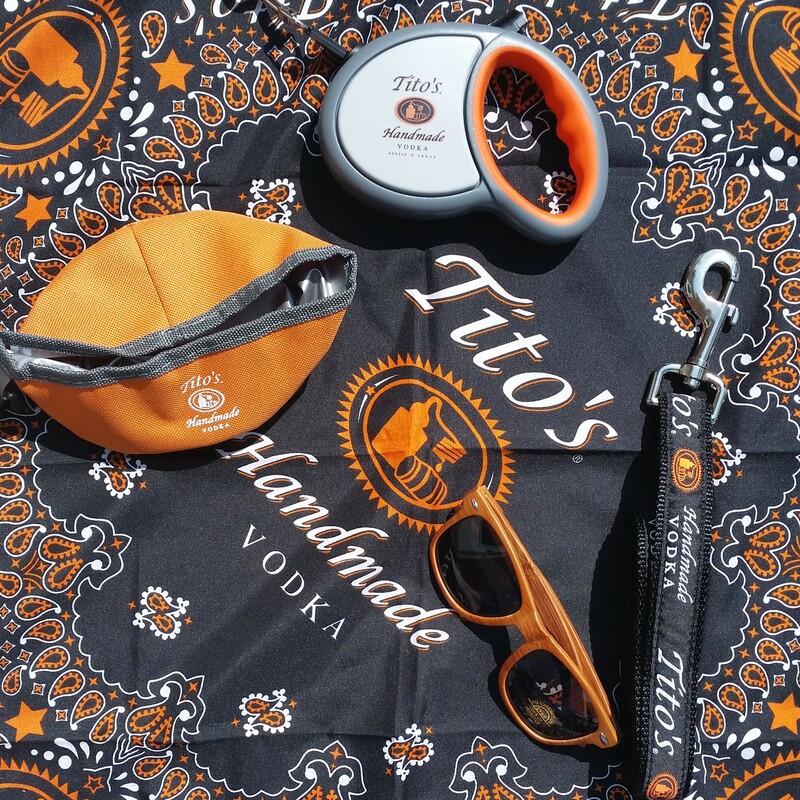 Turns out Tito’s Vodka has a philanthropy program dedicated to dogs, and sponsors events like these across the nation—who knew? 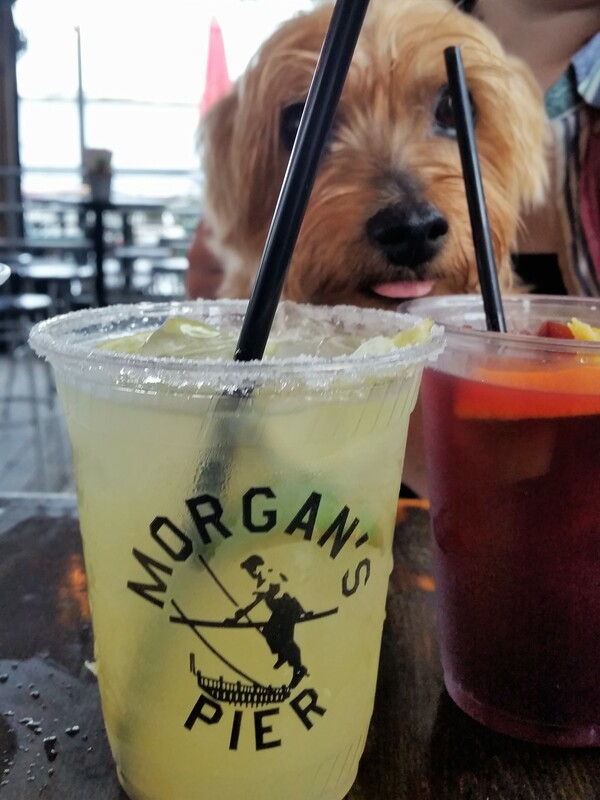 You can catch the next two Philadelphia yappy hours of the season at Morgan’s Pier on September 11 and October 8. For full details and other dog-friendly events, visit the dates on our calendar.